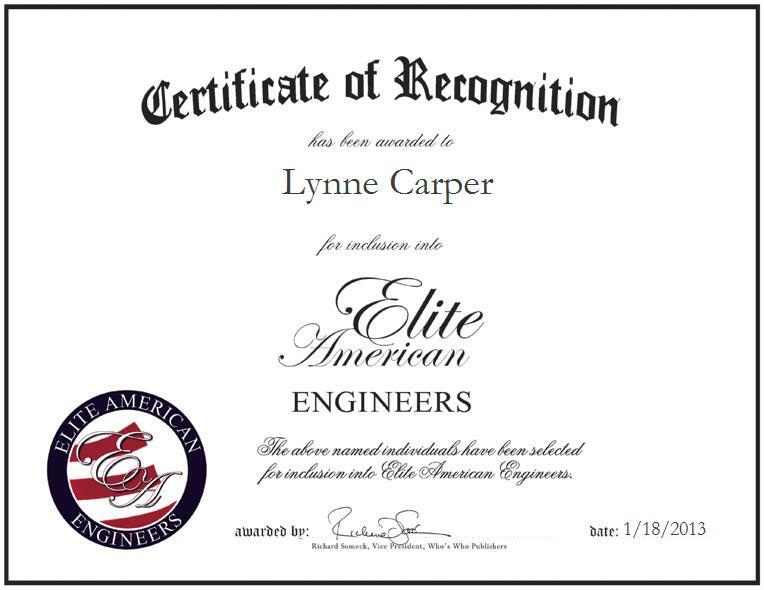 SELMA, NC, January 18, 2013, Lynne Carper, Owner and Chief Executive Officer for Procon Services, has been recognized by Elite American Engineers for dedication, achievements, and leadership in engineering. Ms. Carper serves in an executive leadership role at the head of a construction company specializing in the erection of pre-engineered metal buildings, the installation and troubleshooting of custom material handling systems, and implementation of demolition and welding solutions. At the helm of the company which offers preliminary surveys, project management, rail and beam realignment, concrete work and turnkey projects, Ms. Carper makes the most of her expertise in bidding and business management, by skillfully acquiring new business, negotiating contracts, and maintaining client relations. She is also in charge of handling marketing initiatives from one-on-one to social media engagements, and training staff. Ms. Carper has garnered a reputation of distinction for her outstanding efforts and achievements, earning the title of Woman of the Year in the Construction Industry from the National Association of Professional Women for 2012-2013. She attributes her success to having real-world experience. Prior to establishing her business in 2011, Ms. Carper was a transportation engineer for the North Carolina Department of Transportation. She also gained 11 years of professional experience at Forensic Engineering, Inc., progressing from the position of engineering technician to forensic engineer. Outside of her professional duties, she volunteers her time and resources to organize an annual “eWeek” event in the local schools. In 2009, she began with a single third-grade classroom; as the event’s popularity has grown, in 2013, Ms. Carper will be making presentations for each of the fifth-grade classes at Selma Elementary — eight different classrooms.